Here we go again!! Kill innocent unarmed black person> no arrest until protest> protest, arrest, trial and or no trial> Black people vow to get JUSTICE and bring an end to the killings> Few months pass and they forget all about it> Few months later ANOTHER minority is killed>RINSE, REPEAT. When are our so called civil rights leaders and outraged people going to really do something SUSTAINED and stop bsing??? 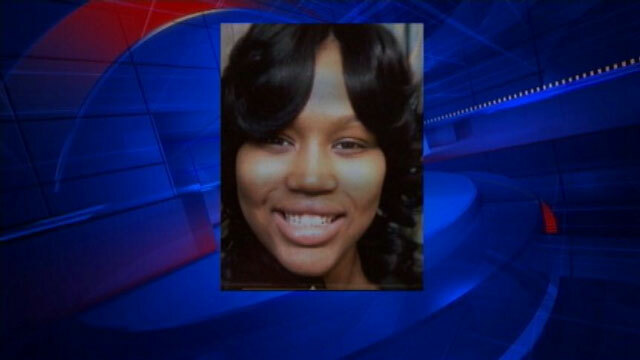 Renisha McBride, 19yr old, unarmed woman murdered (shot in back of head), early Saturday morning. Police are not releasing the name of shooter and have further stated it appears to be self-defense. Also the police initially lied to family and told them her body was dumped there, rather than killed there. I know the first question will be, what does this have to do with Boycotting Florida? This is happening all over the country. However, it is impossible & impractical to boycott the entire country. Florida has had a disproportionate amount of racially profiled deaths of unarmed, innocent minorities. Trayvon Martin’s murder has been a catalyst in a resurgence of minority and decent people of other ethnic groups to fight these “legal lynchings”. Boycotts are only effective when you zero in on one target, like Florida, because you can only make an example out of one area at a time. This harkens back to the teachings of MalcolmX and Dr. Martin Luther King. They didn’t boycott the nation, they choose areas like Birmingham, Harlem etc to make an example that garnered international attention. IT IS IMPERATIVE THAT WE STAY THE COURSE AND MAKE AN EXAMPLE OUT OF FLORIDA, TO SET AN EXAMPLE FOR THE NATION- THE MURDER OF UNARMED, INNOCENT MINORITIES WILL NO LONGER BE TOLERATED. And Black Folks are still content to do nothing. Are you even counting the bodies or do you just accept this as an effect of your black skin? If You’re Boycotting 1 or 3 Florida Industries, But Not the Rest- YOU’RE DOING IT WRONG. If you just Boycott Orange Juice and think that product alone is going to effect the overall economy, that’s delusional. Tourism, International Trade and the Space Industry generate more revenue than the entire agriculture industry (of which oranges are less than 1/2, beef, tomatoes and sugar are bigger). The only way this can be effective is if you vow to boycott as many Florida Industries as possible, including orange juice. It can be done from any state. Familiarize yourself with them using the links below. Aren’t sure which businesses are affiliated with Florida in your state & you have a smart phone, there’s a buycott app also. Let’s send a strong message to Florida and the entire nation. We will no longer tolerate the unjust murder of minorities in this country any longer. The racists are getting bolder everyday. Boycott Florida to set an example to the entire country, we aren’t going to take it anymore. There was a little trouble right before take off on a flight actor/comedian Brandon T. Jackson was on. The “Tropic Thunder” funnyman was on a US Airways flight when he says he was yelled at and called the n-word by a flight attendant. According to Jackson, he was on the flight waiting for take off. A flight attendant who he calls Dee walked up to him and asked him to take his seat. Apparently, Dee wasn’t very polite in her request because the two began to argue. Eventually, the arguing led to the flight attendant screaming, “I don”t care if you’re Obama’s son — get in your seat! !” After she hurled that insult, she followed that up with her use of the n-word. Where Are You In Your Boycott Florida Effort? It’s been several months & about 50yrs to long, since we’ve had a serious, organized movement against racist oppression in the US. Those involved in should pat themselves on the back for opening their eyes & coming to the realization that these unpunished murders, unjust incarcerations, profiling while driving and shopping won’t end unless we do something about it. Those that choose to ignore it or no different than the House Negros of slavery or the indifferent Negros of the Civil Rights era, that didn’t support the movement but certainly benefited from it. So how has the Boycott Florida Effort personally effected your habits? Have had to struggle letting go of your former favorite brands? Have you experience pressure from family or friends to frequent Florida based restaurants or companies? Have you found substitutes for businesses you may have patronized before? Have thought that any Florida based business was irreplaceable and find you can’t boycott a particular business? Trayvon Martin did not have to die on February 26, 2012. Though a bullet fired from his gun by George Zimmerman indisputably caused his death, Zimmerman was found not guilty by a Florida jury of either second degree murder or manslaughter in the case. I will not dispute the jurors’ verdict. Given Florida gun laws and statutes pertaining to self-defense, as well as the evidence as presented to them at the trial, they may have done an admirable job in their deliberations. Still, Trayvon Martin did not deserve that his life end when and as it did. Every 36 hours an African American is murdered by a police officer, security guard or vigilante in this nation. The majority are unarmed committing no crime. Last year the Malcolm X Grassroots Movement (MXGM) published 2 reports documenting these facts and proposing a comprehensive plan to bring this emergent crisis to an end. It’s entitled ” It received little national attention, however this can not go on ignored. I would encourage everyone to please read these reports and the plan and begin forming a united, organized effort to start it TODAY. I’m doing everything I can to contact the original author of the plan & would ask you to do the same. But even if we don’t get a response, this is something that must be done. Please read the two reports and the proposed plan of action below. EVERY 36 HOURS REPORT ON THE EXTRAJUDICIAL (IE OUTSIDE OF NORMAL LEGAL PROCEDURE) KILLING OF BLACKS IN THE UNITED STATES & PROPOSAL ON A NATIONWIDE PLAN OF ACTION TO END IT.